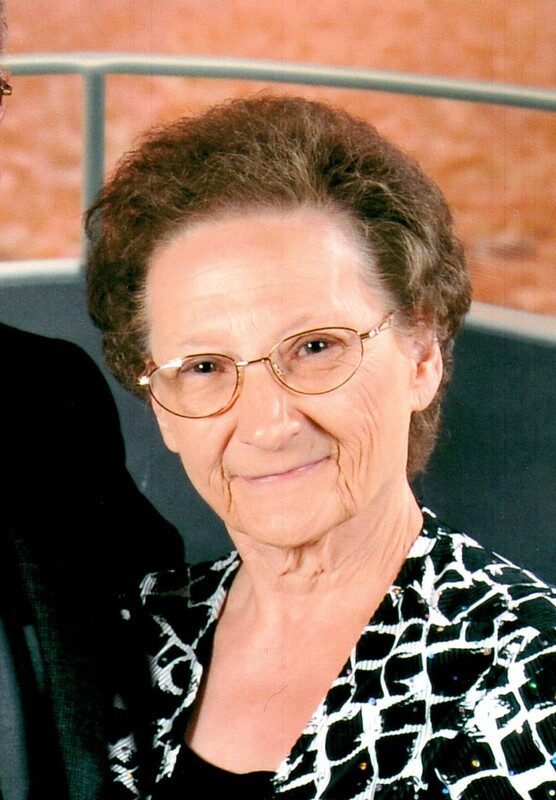 Patsy Joan Baker, age 74, of El Dorado Springs, MO, departed this life and went to her heavenly home on Monday, October 19, 2015, at her home surrounded by her family. Patsy was born December 1, 1940, in Black Jack, MO, the daughter of Avery and Thelma Leonard. Patsy married Van Baker on July 26, 1958. They were married 57 years. Van and Patsy had three children. She was converted at an early age and attended the Church of God (Holiness) as long as her health permitted. Her greatest joy was being a loving wife, mother and Nana to her grandchildren. Patsy loved going to Branson with her sisters, family cruises, and cooking big meals on Sundays. She was known for her fried chicken and yummy mac and cheese. Mom was always strong willed, but Dad always got the last word, “Yes, Dear!” She left a legacy of love, laughter, and a heart for God. We will miss her so much, but the decades of memories will endure for a lifetime. Preceding Patsy in death were her parents, Avery and Thelma Leonard; four brothers: Harold Lee Leonard, Bobby Leonard, Cletis Leonard, and Ronnie Leonard; and niece, Regina Foster. Survivors include her husband, Van Baker; daughter, Cindy Bland and husband Larry; daughter, Tammy Berning, all of El Dorado Springs, MO; son, Rick Baker and wife Cathy of Nevada, MO; grandchildren: Ben Bland and Amy Bledsoe Kail, Jayme, Tiffany Woody and husband Matt, Kendra Berning, Kelly Berning all of El Dorado Springs, MO, Justin Mogan and Sarah Powers, Lucky and Larissa of Republic, MO, Lauren Quick and husband Tyler of Joplin, MO, Sydnie and Alec Baker of Nevada, MO; great-grandchildren Maggie Woody, Kylie Gibbs, Kynley Berning, Jastin Coleman, Kierra Coleman, all of El Dorado Springs, MO, and Joslyn Mogan of Republic, MO. Also surviving are four sisters: Bonnell Huff, Dortha Moore, and Imogene Marquis and husband Russell, all of El Dorado Springs, MO, and Sharron Poe and husband Mark of Overland Park, KS; two sisters-in-law: Betty Leonard of El Dorado Springs, MO, and Nancy Leonard of Black Jack, MO; and a host of nieces and nephews. The family will receive friends on Wednesday, October 21, 2015, from 6:00 p.m. until 7:00 p.m. at Bland-Hackleman Funeral Home. Funeral services for Patsy Baker will be held on Thursday, October 22, 2015, at 10:00 a.m. at the El Dorado Springs Church of God (Holiness). Rev. Joe Trussell and Rev. Brent Bland will officiate. Faith Trussell and Tim Wilson will provide music. Burial will follow in the El Dorado Springs City Cemetery under the direction of Bland-Hackleman Funeral Home. Pallbearers will be: Ben Bland, Justin Mogan, Matt Woody, Tyler Quick, Randy Moore, and Alec Baker.